I love the Iowa State Fair. I go every year with my mom. One place we never pass up is Snakes Alive. I have a photo from every year since I was 5. It’s kind of fun to have a picture from every year, even if I do have a huge snake draped around my neck. 🙂 I always make room for at least one lemonade and a corn dog… then there’s the bucket of cookies from the amazing cookie place in the Varied Industries Building… the apple cookies… the pork chop on a stick… pineapple ice cream… some cotton candy and a caramel apple for mom. Oh, and don’t forget all of the free samples from the Iowa Beef Council in the Agriculture Building! There are hard boiled eggs and usually there’s some kind of milk, too! As you can see, mom and I go to the fair mostly for the ridiculous food! Ha, not really, but it is super tasty! We also go to see some of the animals, do a little people watching, and of course check out all of the awesome photography, doll houses, and needlework! 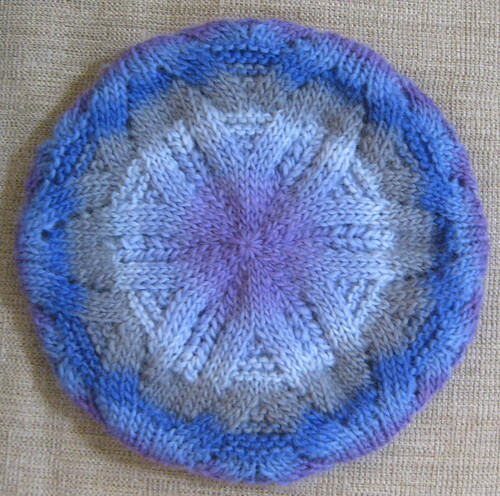 So speaking of needlework… I entered five items into the Fabric and Threads category this year. I heard that even if you don’t get a ribbon you get a good critique from the judges on how to improve. Nice! Below you will find the items I entered. It was a lot of fun making them and I think I will benefit from the experience. While you’re looking at the pictures below… think about this… do any of you go to the fair every year? Have you ever entered an item for judging to your local fair? Just how far do some of you travel to get to the fair? It’s only about a 15 minute drive for me so I consider myself lucky. 🙂 Is there some other activity you do yearly with a parent/child? 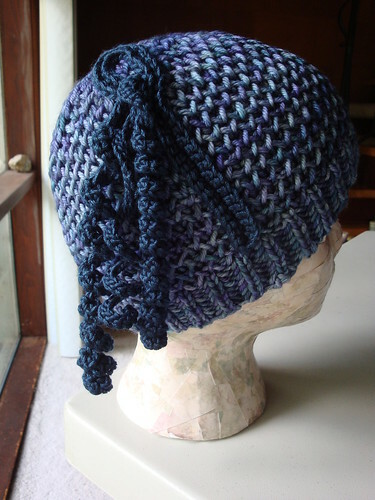 ^Tidepool Brioche Hat – This was a test knit for a woman by the name of Sharon Fuller. 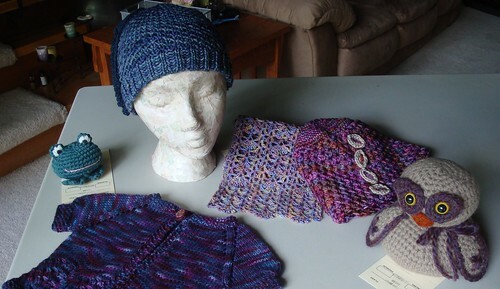 She is sharonf on Ravelry.com and I just love her design. Her pattern will soon be for sale via Ravelry.com. 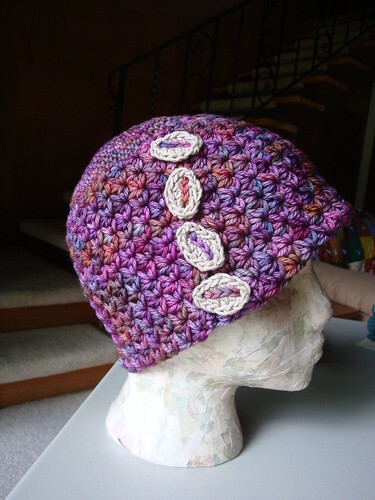 ^In Bloom Cloche – You may remember this cloche. 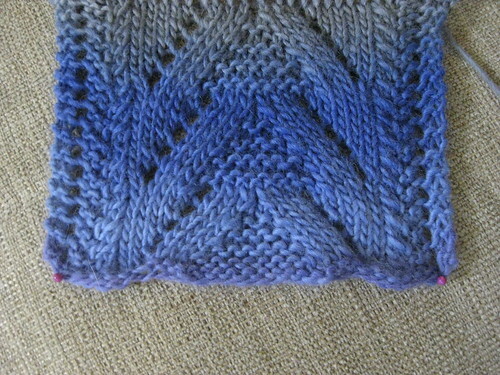 It is a hat I designed not too long ago. Edit: My In Bloom Cloche received a 2nd place ribbon! 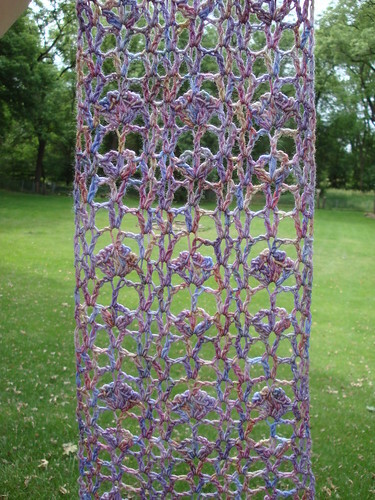 ^Spring Blooms Wrap – This was a test crochet for a woman by the name of May Cheang. She is maycheang on Ravelry.com and her pattern is up for sale as well! Edit: My Spring Blooms Wrap received an honorable mention ribbon!